Our vision is to be the global leader in environmentally responsible cosmetic products. 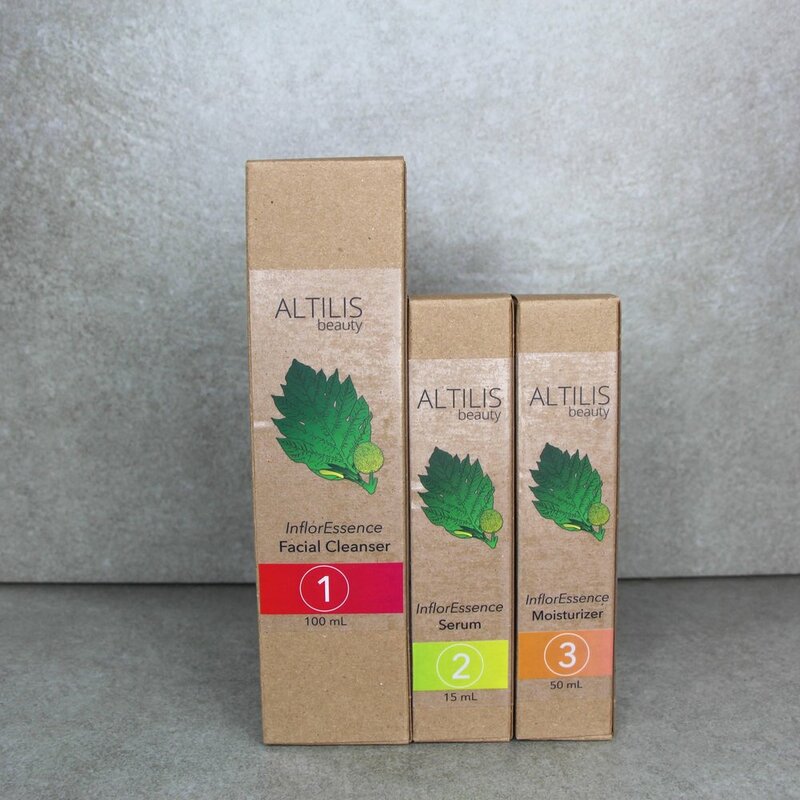 One way in which we work to actively achieve this goal is by using eco-friendly and recyclable packaging for the entire Altilis Beauty product line. All of our products are boxed in chipboard packaging, made from 100% recycled paper. 1. Reduce Product Waste – As you use the product, the pump mechanism condenses the size of the internal chamber so that it holds just enough space for the remaining product. This ensures that you will be able to use the product until it is completely gone. 2. Keep Product Fresher for Longer- Due to the lack of contact with oxygen in the airless pump containers, the products with have a longer shelf life. The chipboard boxes can be recycled with the rest of your normal paper recycling. We recommend keeping the sticker on the box for your records, in case you want to reference the ingredients list. The airless pump containers can also be recycled with your regular plastic recycling. Alternatively, you can opt to re-use the containers by refilling with your own products. Because of the nature of the airless pump containers, you do have the ability to refill the container after you have used all of the product. To re-use the containers, first you’ll need to pop the top off of the container. Next, take a popsicle stick and push the base down to the bottom from the inside. Lastly, re-fill with the contents of your choice and pop the lid back on. Keep in mind that they come in travel friendly sizes so they would be great to refill with shampoo and conditioner for your next vacation! Here's a quick video showing you how to re-use the containers to make a quick facial massage oil! Our mission at Altilis Beauty® is to provide skincare solutions that make you feel beautiful without compromising the lasting beauty of the world.